No one will see you fumble around as you can easily learn how to play just by watching tutorial videos and online instructions. Not just that, you do not have to explain to anyone what you are doing and why. Much like video games, graphics for such online games are designed to entice the brain to keep on playing. Furthermore, you can have access to trial versions, or have “play money” to give you a taste of winning. By the time you realize you have been hooked it would have been too late already. Games such as domino ceme are designed to be such eye candies that simply trying it out can trick your brain into playing more. 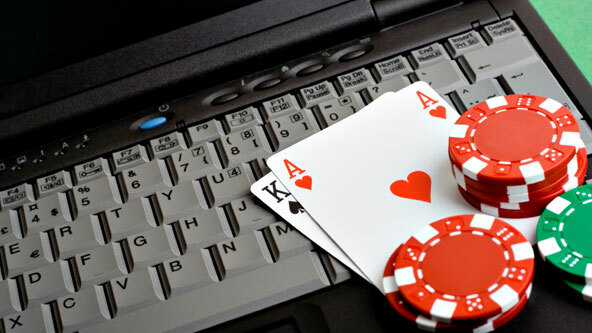 These online establishments lure you in with promises of winning big money right at home. This is the same in traditional casinos. Users most often than not think that they can win more money this way, as they no longer have to travel just to play. Perhaps the most dangerous of all is that younger and not even legal players can lie about their age and will be able to play. Just like a traditional casino, the odds are always in favor of the house. You may experience a win from time to time but in the long run, these websites are designed to earn money for their developers, and there is no way of knowing about the legitimacy of the programs that they are using. A software is infinitely more prone to being tampered with than traditional slot machines. Before you even think trying this out, remember you are way better off staying away.